When your doctor orders a diagnostic image like a CT, MRI or X-ray, do you know that you have a choice where you get your imaging done? You do. It’s important to pick an organization with the best radiology team to correctly read and relay your results to your physician. Radiology Regional is a well-established imaging practice with over 30 board-certified radiologists that work very closely with your physician. You will get personalized service, which is not always offered with a big group or hospital-owned organization. 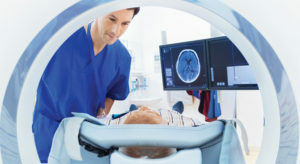 Radiology Regional also provides the newest state-of-the-art equipment. They have 3T wide-bore MRI, 256 Slice CT, 3D Mammography, and Siemens ultrasound to name a few. They’re always on the cutting-edge of technology offering the best equipment and services available to you and your loved ones. If you were referred to an orthopedic surgeon for a knee replacement, researching and deciding on the most qualified physician would be of the utmost importance, so with radiology, it’s just as important. This is especially the case if you are in need of a specific diagnosis such as with a brain tumor or breast cancer to name a few. When it comes to your health, inaccuracy or oversights are not an option. That is why choosing Radiology Regional is a great option for you. Countless radiology centers use third-party radiologists that are not onsite and sometimes, not even in the same area. At Regional Radiology their radiologists are onsite and even more important, they are the most comprehensive group of fellowship-trained radiologist to include women’s Imaging, MSK (musculoskeletal), body, neuroimaging, cardiac imaging, and interventional radiology. Radiology Regional has 11 locations to serve you, and they are all accredited by ACR and ICANL. At these convenient locations, they can accommodate same-day, walk-in x-rays, and scheduled appointments. When you arrive, the welcoming environment is different than larger, hospital-owned facilities and the knowledgeable staff works with you one-on-one to make you comfortable, and to plan you for your test. But it doesn’t start there. Radiology Regional begins its personalized attention when they schedule your appointment to make certain that you are well-prepared ensuring the best results and outcomes. The intricate imaging isn’t rushed or taken lightly. Each patient receives care as if they were family. They are genuinely interested in your best outcome and your comfort. For example, if you need an MRI, you may not know that the noises can be very loud, but they will walk you through each step before, during and after and provide noise-canceling devices with relaxing music. If you need an angiogram or an ultrasound, you may not know that the steps involved in getting your results, but at Radiology regional, they work directly with you and your referring physician to help you understand the process entirely. Given these differences, it’s also important to mention that Radiology Regional’s rates are often significantly lower than hospital rates, as they are contracted differently. Hospitals systems generally are contracted on a different fee schedule. Tell your referring physician you would like to come to Radiology Regional Center for your imaging needs. Make your choice the best choice for you! Please call (239) 936-2316. Next For Goodness Sake RENOVATIONS Are Complete!